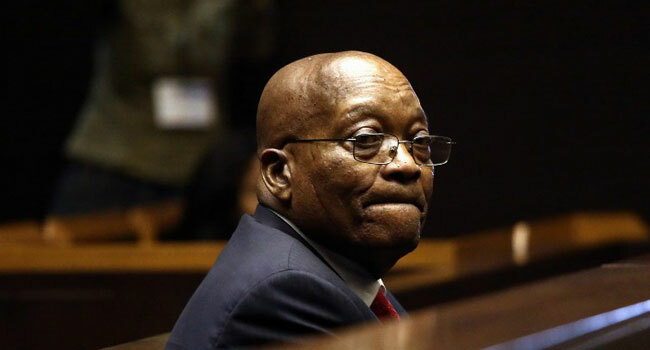 A former South African deputy foreign minister on Friday disclosed how a businessman close to former president Jacob Zuma had threatened to kill him, in dramatic testimony to a corruption inquiry. The inquiry, which opened this week, is probing allegations that Zuma organised systematic plunder of government coffers in a scandal known as “state capture”. Mcebisi Jonas said he had been taken by Zuma’s son to a meeting in Johannesburg at the home of the Guptas — a wealthy family accused of having a corrupt relationship with Zuma. “At the end of the meeting Mr Gupta repeated that they had information on me, and if I suggested that the meeting had occurred they would kill me,” Jonas, who was in post between 2014 and 2016, told the judicial inquiry. Zuma was forced to resign in February over graft scandals centred around the Guptas, who won lucrative contracts with state companies and were allegedly even able to choose Zuma’s cabinet ministers. Jonas on Friday repeated allegations that at the meeting in 2015, Ajay Gupta told him he was to be appointed finance minister and would help the family to make money. When Jonas refused, Ajay allegedly offered him 600 million rand ($42 million) and asked if Jonas had a bag to take away 600,000 rand in cash immediately. “I said I was shocked and angered by this statement and I had no interest in becoming the minister of finance,” Jonas told the inquiry. Zuma’s successor President Cyril Ramaphosa has vowed to tackle corruption in South Africa, which has been led by the ANC party since Nelson Mandela came to power in 1994 after the end of apartheid rule. Both Zuma and the Gutpas deny all wrongdoing. It has not been confirmed if Zuma will appear at the inquiry headed by deputy chief justice Raymond Zondo which could take two years to deliver its findings. The ANC faces a general election next year after a recent sharp fall in support. Zuma has also been charged with 16 counts of graft linked to an arms deal from before he became president and will next appear in court on November 30.